Sew what's cooking with Joan! 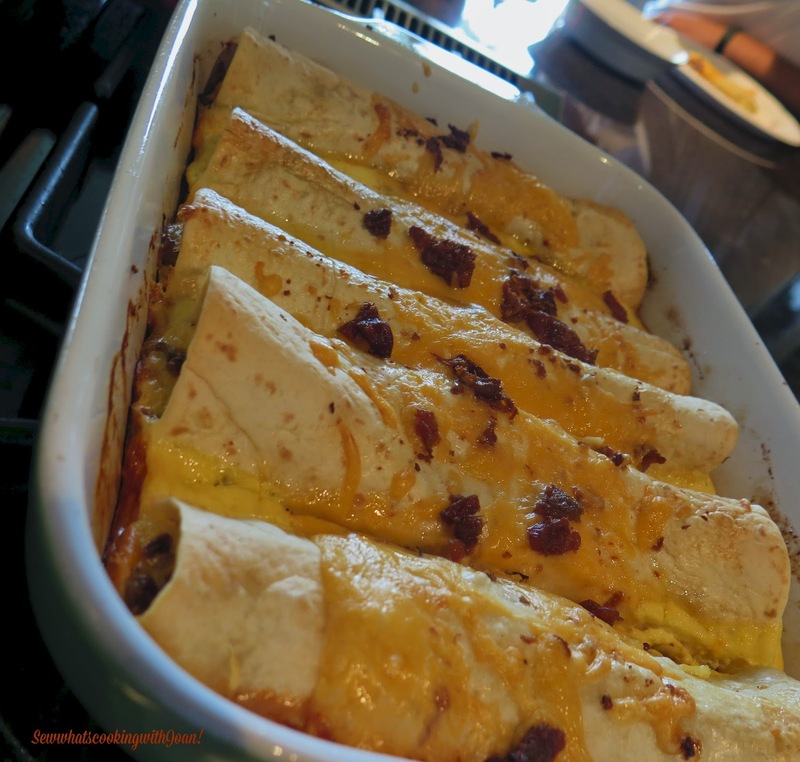 : Over night Breakfast Enchiladas! Well, I have another home run recipe for you today, friends! Over the July 4th holiday my son and daughter and their families spent the night with us. I wanted to have something simple for breakfast and came up with this. I like to be prepared for company and I want to spend as much time as possible with my grand children! Just love them so much!! Aside from this dish being easy, it's versatile, which is always a bonus for me. Really, you can use anything in the filling. 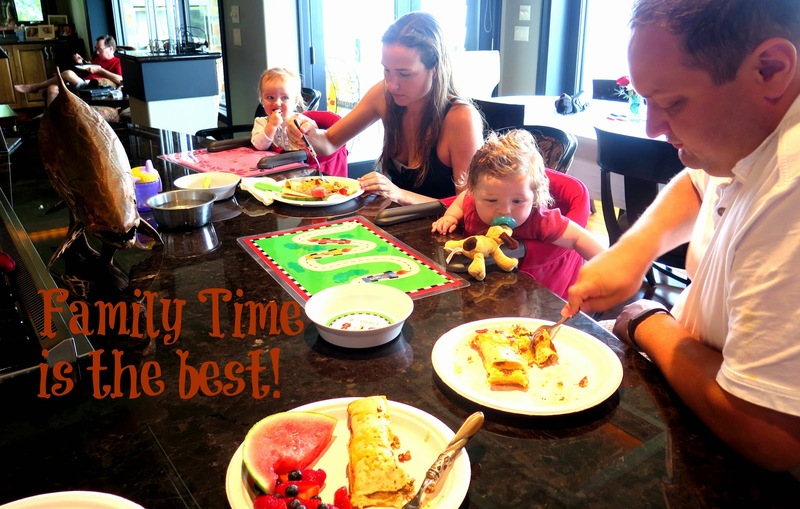 Just think about your favorite omelet, get those ingredients mixed up and you are good to go!! Simply cook the sausage in a frying pan. Once cooked stir together the sausage, 1 cup of the cheese, green onion and half of the bacon bits. Place an 1/8th of the mixture in the center of a tortilla and roll them up. Place them seam side down in a greased baking dish. In another bowl beat the eggs and flour. Mix in the half-and-half and pour over the tortillas in the pan. You can either cook immediately or cover and put in the refrigerator until morning. Pre-heat oven to 350 degrees. 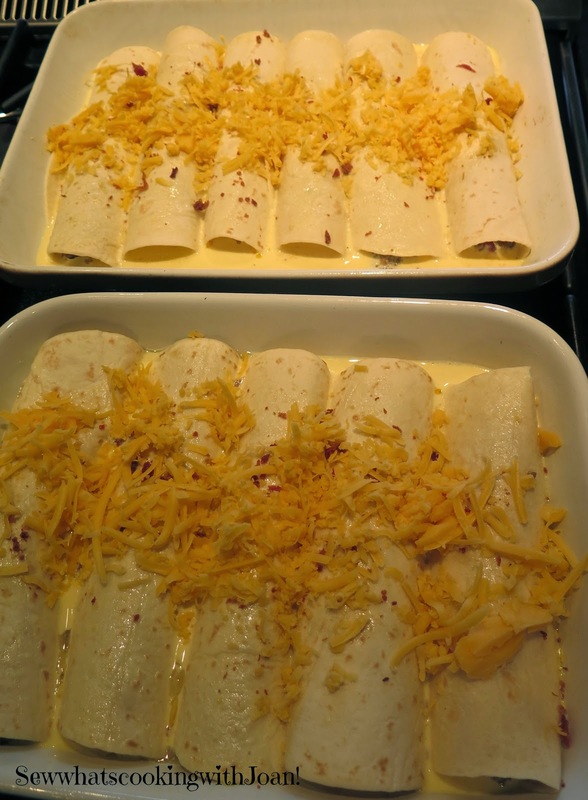 Sprinkle remaining cheese and bacon bits over the tortillas. Cover with foil and bake for 30minutes. Uncover dish and bake 10 min longer. Thank you for commenting. I am happy to hear I can help!